So recently me and my best friend Ellie signed the contract for our house to move into later this year. Since then I have been obsessed with looking at new home ware bits just to make the house feel a bit more homey for us. 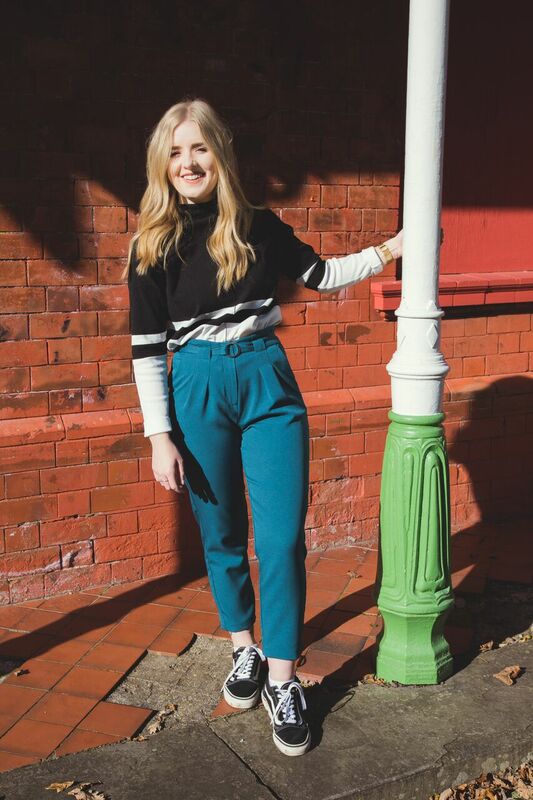 Me and Ellie both have really similar style so it is so easy to go shopping for home ware things. First off, there is the adorable Elephant Light, from Urban Outfitters. 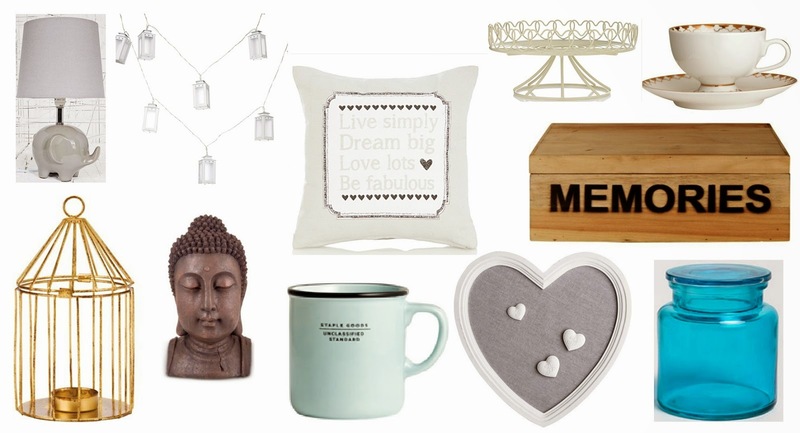 If you couldn't already tell from this wishlist, I am loving the colour grey at the moment. This light is absolutely adorable, and I think it would look so cute in a living room, on a small table. Now, I'm not usually a fan of gold, but I love this Gold Birdcage Tealight Holder from Homebase. I think this would look so nice on a bedside table, with a lovely smelling tealight in! I'm not sure what I like so much about it, I just think it is so cute. Who honestly can resist fairy lights? I know me and Ellie are planning to have fairy lights everywhere in our house because we both love them. The Lantern Lights from Asda are perfect. I think they are so so cute. I'm not exactly sure where this Buddha Head from Tesco would go, but when I saw it, I just had to add it into this wishlist. I absolutely adore Buddha's, they just instantly make me feel so calm! In all honesty, who can resist a cute cushion? This Cushion from Asda is absolute adorable, & would make any sofa look nicer. Along with the colour grey, I am also loving the colour turquoise. I have seen so many lovely mugs, and as an avid tea drinker, it was hard not to include them all. I adore this Turquoise Mug from H&M Home. The colour is so so nice, which is the reason why I love it so much. Me and Ellie have already decided to have a basket of Lush bath bombs in our bathroom. I always see so many people displaying Lush products on cake stands. I love this idea and I think this Cake Stand from Asda would be perfect to do just that. Again another cup, and more gold, but this Cup & Saucer from H&M is so lovely. I love drinking out of tea cups. I have been looking for a nice box to hold little things in for a while now, I love this Memories Box from Homebase, This would be perfect to keep tickets in and place on a shelf. Again something grey, this Heart Magnet Board from Homebase would look absolutely adorable in the kitchen, with little notes and vouchers on. And last but not least, this Turquoise Jar from Zara Home. This would look lovely on my dressing table filled with makeup brushes! I can't wait to get my own place when I'm older and and decorate -I bet it's so much fun! You have some really lovely pieces here, I especially love the fairy lights and the gold tealight lantern! I love the heart board, I would look perfect in my room. I can't wait to get my own place, decorating looks so exciting. Such lovely items! Living with your best friend will be so good! These are stunning! I love the heart. These inspirations are sooo great! Love that golden cage!! aww. can I please have everything? now? That elephant lamp is soooo cute! awesome!! love the mug/cup and pillow!! I love those lantern lights! They're so cute! I'm going to have to convince my boyfriend to let me have them in the living room! Lovely choices, especially the cup and saucer - H&M home stuff is so nice! we love all these pieces, especially the birdcage, it's so cute!